We all know how useful portable USB chargers are. But there's just one problem: They, too, need to be charged. What if you're on a long hike or a road trip? What if you forget to charge it and you're phone is running out of juice. The solution, like so many of the world's problems, is solar. 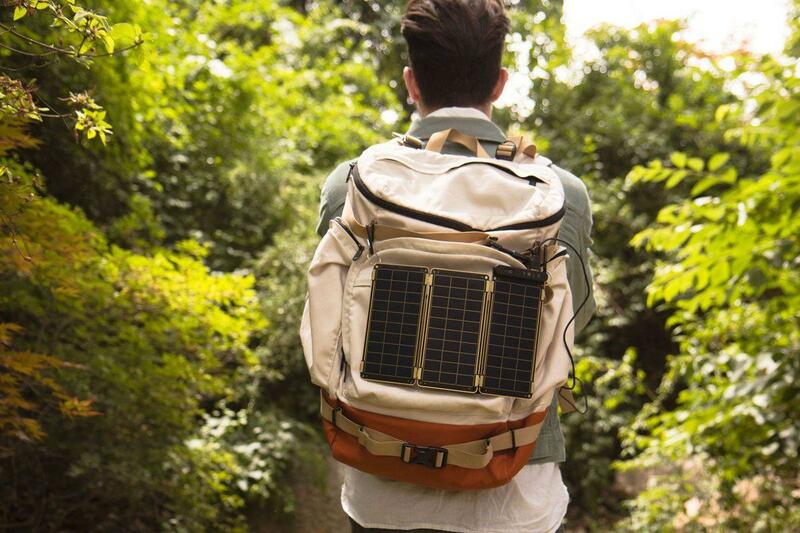 The folks at YOLK, an innovative solar power company, have just released the most useful portable solar charger to date: Solar Paper. Dubbed "the world's thinnest and lightest solar charger," this tiny device is paper-thin, ultra-light and highly efficient—it can charge your smartphone in two hours, or the same time as a wall charger. Solar Paper is composed of several solar panels that fold up into the size of a book and can be stored in a pouch. Each panel generates 2.5 watts of power. An iPhone takes 5 watts to charge so only two panels are necessary. To charge something larger—like, say, a tablet—you need a bit more power, about 10 watts. 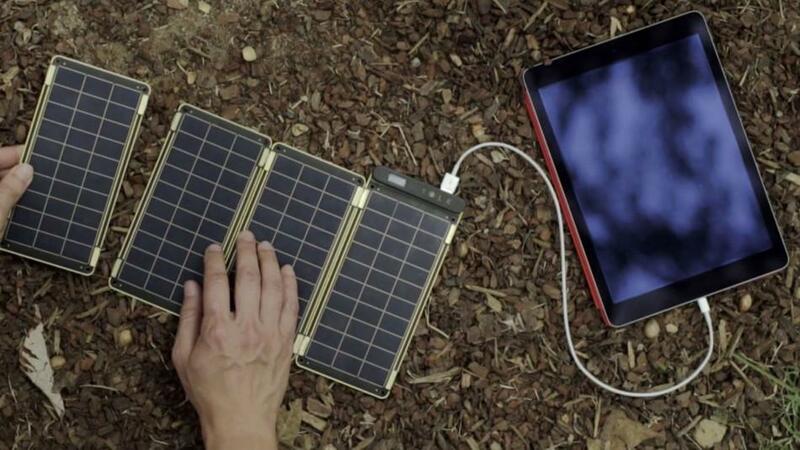 The smallest version of Solar Paper comes with two panels,but they connect magnetically, creating a modular device that you can grow and shrink according to your needs. Additionally, the panels come with holes drilled onto the top corners so you can hang the device from your backpack so you can charge on the go. You don't need to be in direct sunlight for Solar Paper to work (there's a video of someone using it through an airplane window) but you do need to be in the sun. If you move to the shade, the device will stop working. The most basic version of the device comes with two panels and costs $148. Each additional panel you add on costs $50.